Sara Mohr-Pietsch presents. Piers Lane (piano), London Philharmonic Orchestra/Andrew Manze. Elgar: Introduction and Allegro. Ireland: Piano Concerto. Walton: Symphony No 1. Andrew Manze conducts the LPO in Elgar, Ireland and Walton. One day in 1930, John Ireland heard a piano student practising down a corridor at the Royal College of Music. Ireland was struck by the student's combination of poetry and technique, and when he discovered who the mystery pianist was, he was enthralled by her physical presence and beauty too. Ireland captured his sudden infatuation for the pianist Helen Perkin in his sparkling Piano Concerto, and it's easy to hear how the pianist inspired the composer to heights of brilliance, virtuosity and flair. Alongside the Concerto, Andrew Manze conducts the emotional outpouring that is William Walton's First Symphony and Elgar's poised Introduction and Allegro for strings. The music and life of the British composer John Ireland. Louise Fryer investigates the inspiration behind Walton's powerful First Symphony. Orchestra: London Philharmonic Orchestra. Conductor: Andrew Manze. Performer: Piers Lane. 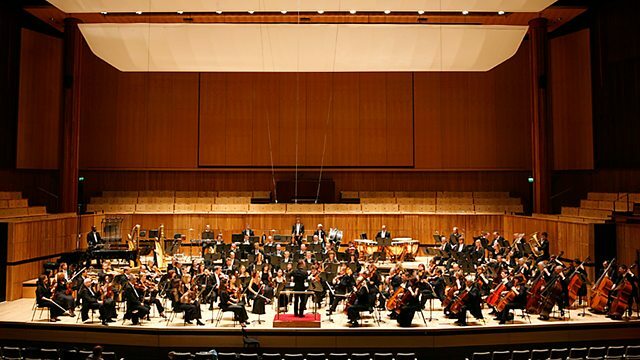 Orchestra: London Philharmonic Orchestra. Conductor: Andrew Manze. John Ireland - The Piano Music. Performer: Catherine Bott. Performer: Paula Chateauneuf. Performer: Timothy Roberts. Performer: Frances Kelly. To the Unknown Goddess - A Portrait of Barbara Strozzi. Orchestra: Nemzeti Filharmonikus Zenekar. Conductor: Zoltán Kocsis. Bartók: Music for Strings, Percussion & Celeste.